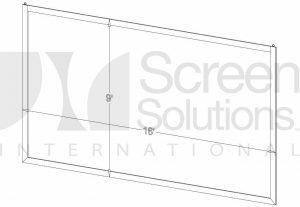 Screen Solutions International designs and makes everything for the successful rear projection installation. All products are made to order – but all at standard prices. Our parametric 3D CAD system allows us to design & build individual systems for you at standard prices. We can give you rendered 3D CAD drawings with quotation to help you win the project – and make the client think you are brilliant when you install it. 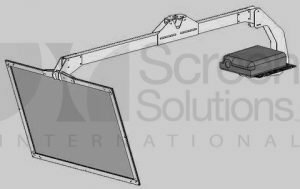 Full installation services are available for Screen Solutions mirror systems. Rear projection mirrors, rear projection rig systems, frames – everything you could possibly need. If you can’t see what you want below, just give us a call. Any project/Any scenario; we will assist you in crafting the right solution for your particular needs and desires. If you are looking for something quick – we have or quick serve solutions that could be a perfect fit for your project. With several different off the shelf profiles that can be cut, shaped and formed to suit your specific need. If you are looking for something custom all you need to do is provide us with your concept and we can begin to make it a reality. 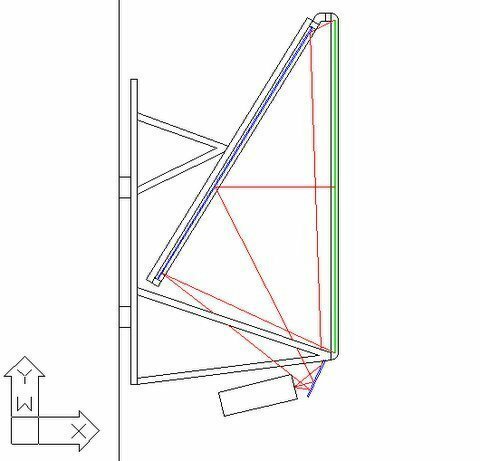 Should you need a free standing frame, suspended frame or even a frame system for a display that encompasses a screen we can help provide a solution that will be sure to meet your requirements. A phone call and a few quick questions from a staff member. Sketch a rough concept out and email or fax it over and we can provide a conceptual drawing for you shortly. Color matching, inter-connectivity, fewer serviceable parts and superior professional appearance are just a few of the many benefits of using a SSI rear projection video wall. We have always stood by the fact that the fewer seams or bezel lines in any display the better; most any display we design is seamless and or virtually seamless. With projection technology advancing at such a rapid rate be sure to ask about utilizing an SSI video wall in your next large format project. A professional Video Wall doesn’t and shouldn’t be a hassle to either design, install or maintain and most certainly enjoy – consider the option of multiplexing the signal itself and maybe not so much the displays and the signal. 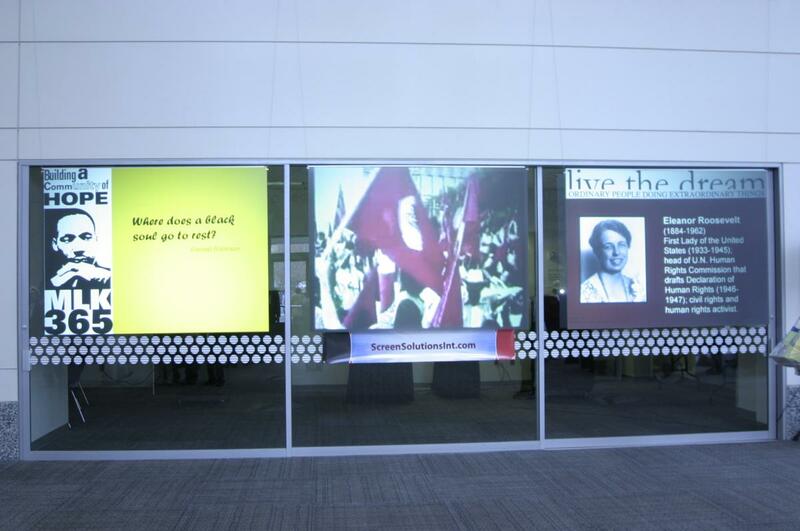 Projected video walls are easy to maintain and easier to enjoy than other technologies available. Rear projection systems have long been utilized in everything from home entertainment to airport communication systems; should you have an application requiring a rear projection system SSI can assist you in designing a stunning display that rivals competitive technology. The benefits of sophisticated rear projection are many when determining the proper solution for your needs; just as rear projection is not for every scenario neither are flat panel displays. Get off the wall and out of the box, have a look around to see what it is that rear projection systems can do to impact the message or service you are providing. Window displays are often the key and most critical marketing piece a company has when it comes to engaging the shoppers in any industry. Mannequins and full color printing have filled the windows of storefronts for decades; as the times change so does the needs and desires of your customers. With more than 86% of the US population owning a cell phone and devoting a fair amount of time to that tiny piece sophisticated plastic in their hands you must come to realize that its time to review your window display concepts. Incorporating large format or a striking mid size interactive window display has the ability to reach out and literally engage a prospective client as they may otherwise stroll on by. With technology in general becoming more user friendly and a partnership with the team at SSI you can build, deploy and manage one or a thousand storefront displays from anywhere in the world. Make a call today and learn how easy it is to impact and engage when you incorporate digital window displays into your storefront. Now that you have got them in the store you need to keep them there and most importantly load up their cart and pull out those wallets; how you going to do that? Dynamic cutting edge digital displays have the ability to bring clients out of the traditional way they go about certain acts such as shopping – assist them in accessing a part of them that may not have been allowed out in a while and you will most likely develop a rapport almost immediately as you allow them to experience something unusual or out of the norm. Flash , POP and sizzle are nothing if it’s the same thing everyone else is doing with a twist – turn on your imagination and design something inspiring and your clients will typically reciprocate in kind. PointOfPurchase is about one thing UP Sale-ing; once the client is the buying mood you want and need to keep them in that state of mind. What is going to take to ultimately get them to add something in addition to that order? The answer is something that has the ability to derail that freight train headed out the door with only original intended purchases in hand……..inspire them with reason to throw in that additional and possibly whim purchase. Often saying nothing is more powerful than a thousand words – a client convinced on their own is one that never complains; create that tiny spark and let the fire begin to blaze. Need some ideas? A Digital Signage Deployment is much bigger then a display and some ads; did you ever consider the fact this – “is anyone going to notice all this money we are hanging everywhere”? What is it I want to accomplish with these digital posters? What conversion can I expect from these displays? How do I know if anyone is actually going to look at what we are showing on the screen? What does it take to actually take to produce revenue from a digital signage campaign (are ads in bulk enough to bring about revenue)? Does digital signage actually convert or is it a fad? The last time you went to purchase a new work truck, did you leave with a convertible? Or when you went to buy the wife a new minivan did you purchase the luxury sedan? Everything has its recommended purchase and just as its normal to haul around dirt and rocks in a pickup truck and not a convertible; the proper digital signage deployment is essential to accomplish the task at hand whatever that may be. Don’t wreck that brand new leather, put it in 4 wheel drive and roll over any obstacle that presents itself – speak with a representative today and bring some align your method with your desired outcome for overwhelming satisfaction and ROI. A Kiosk is a powerful and trendy way to communicate without ever shaking a hand or actually interacting with a client; kiosks are being used in everything from movie rentals and self service grocery checkout to airport check in services and are swiftly changing the way that business gets done while ramping up the profits. What is it about being able to do it yourself that has us as a population so intrigued when we most often look for opportunities to pass up the opportunity and outsource? It’s usually giving us the opportunity to do something we have never been allowed to do before and to boot it is actually a time saver once you are adjusted to the concept. SSI can design a Kiosk with you to fit your specific requirements or help you in determining which standard option will work for you; with the ability to market, sell, ship and deliver satisfaction to client a may never meet in person from the center of a mall or edge of a parking lot somewhere. Move outside of traditional or maybe the expected and allow your clients to do something they may not have ever had the chance to…….let them do it themselves. We are often asked about custom projects and simply put 99.3% of everything we ever do is custom. Most often we never come across the same circumstance twice so we are up to the task and ready to tackle whatever it is you may be interested in putting together. Our skill set and knowledgebase extends beyond our own products and materials to vertical markets, fabrication, design, industry, marketing, integration, etc. and the overwhelming desire to be involved in projects created by people daring to use their imagination and brainpower. Whatever the task may be, give us a call and we can help you by giving you our recommendation or pointing you in the right direction.